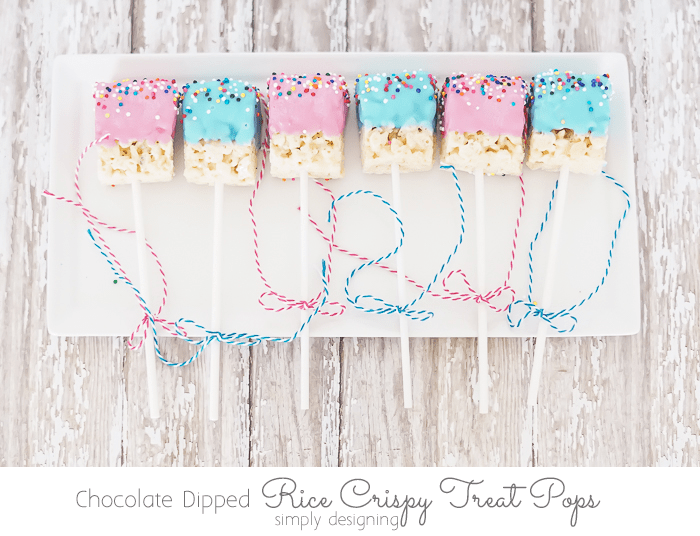 This cute and fun rice crispy treat idea that would be absolutely perfect for a baby shower, or for any party really! 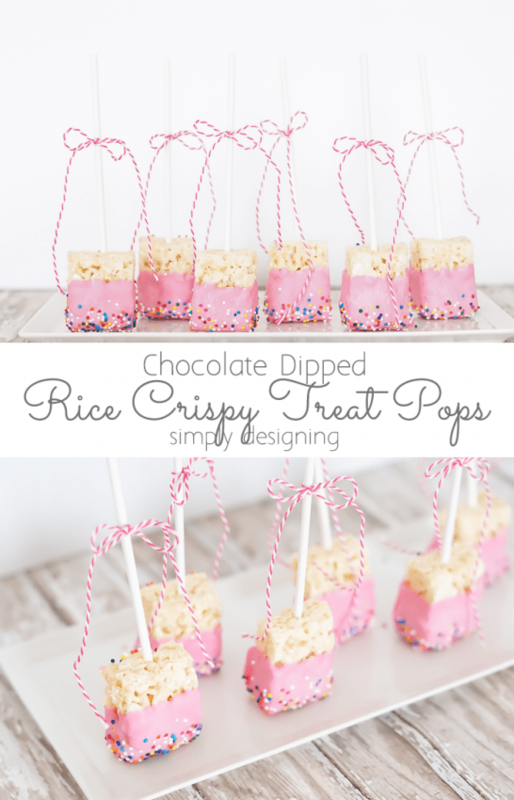 Here are my really tasty, absolutely delicious, and very cute Chocolate Dipped Rice Crispy Treat Pops! 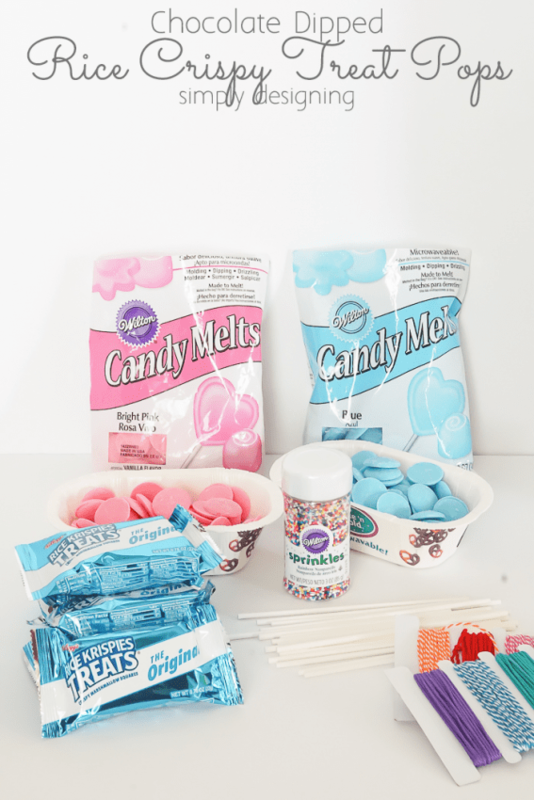 A few weeks ago I shared a really fun Baby Shower Idea here! It is such a fun and simple idea and a great way to involve guests in the party without silly games. 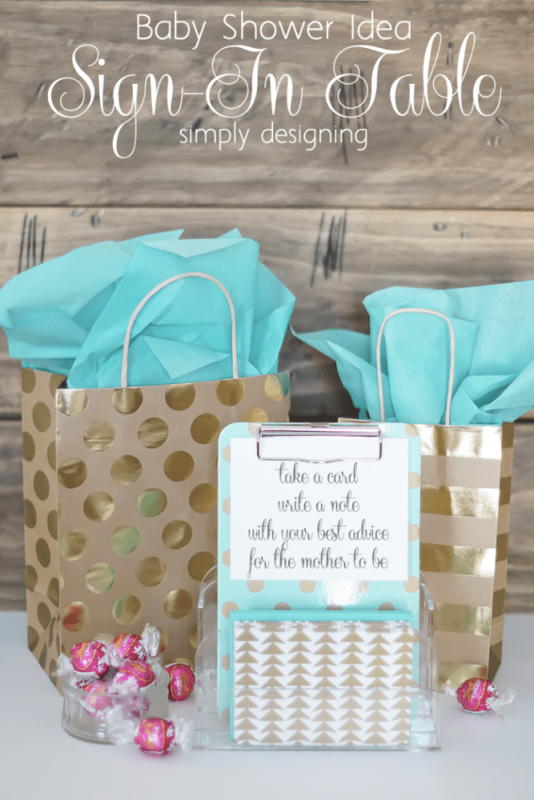 And it is a great way to personalize a baby shower for the expectant mother. 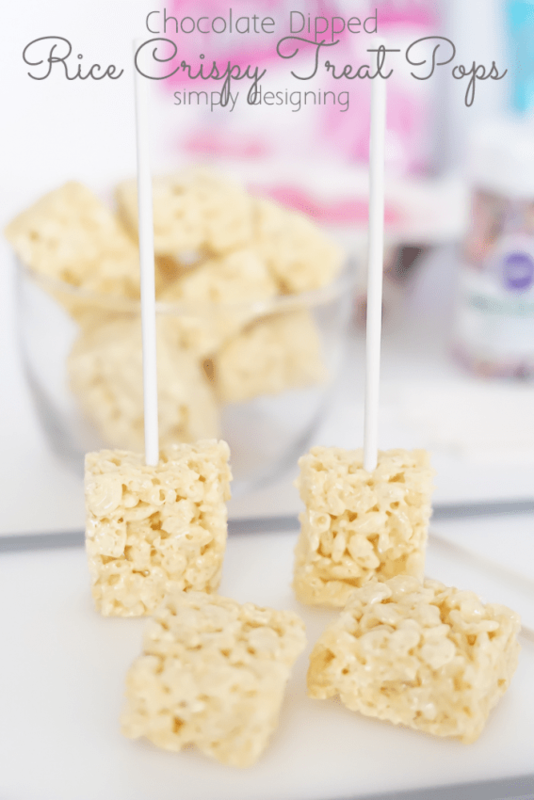 Aren’t these rice crispy pops adorable!? They taste really yummy too! And the best part is that they didn’t take a lot of time to create. But they look really impressive! These would be perfect for any birthday party, celebration, get together and especially for a baby shower! 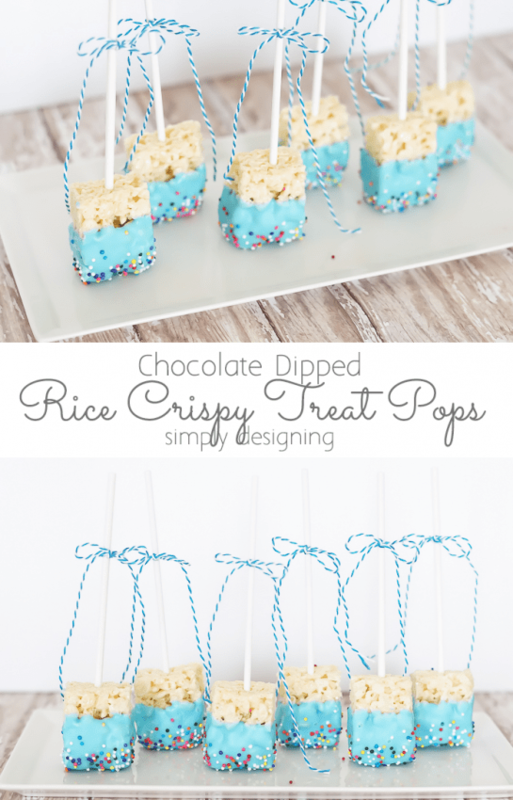 And lest you think I forgot, I made these rice crispy treat pops in blue too! So much fun! Before I go on though, I want to give a big huge thank you to Tiny Prints for making this post possible today! 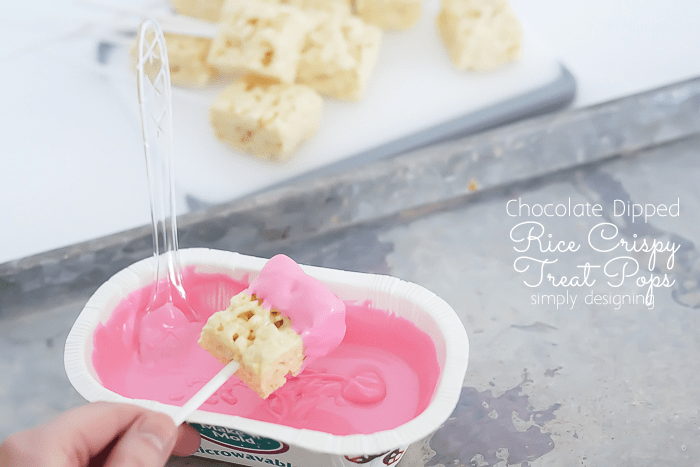 How to make Chocolate Dipped Rice Crispy Treat Pops. Began by cutting rice crispy treats in half. 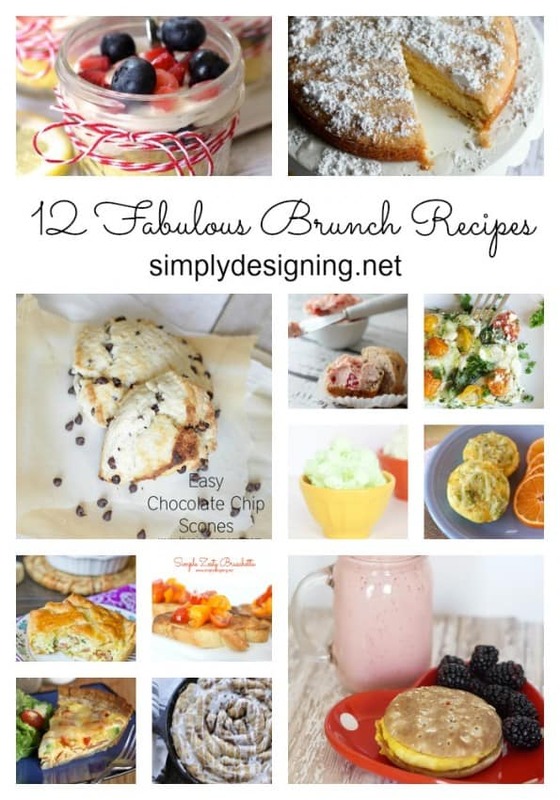 You can make these from scratch or buy them from the store. 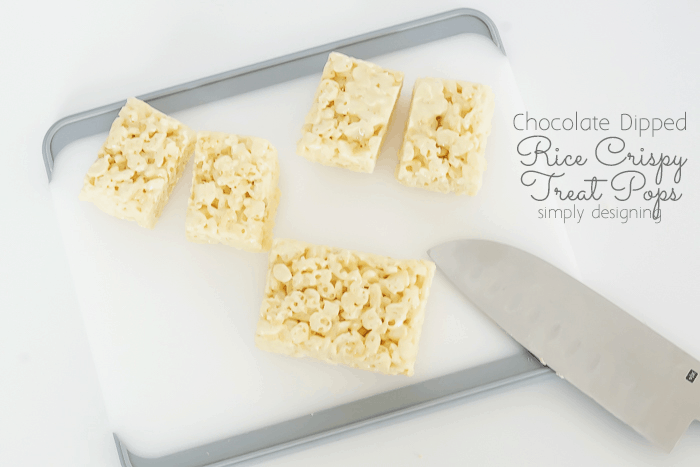 I personally love homemade rice crispy treats best, but they tend to be a little soft for a project like this. So in this case, I opted for pre-made ones (you can see my favorite rice crispy treat recipe here). 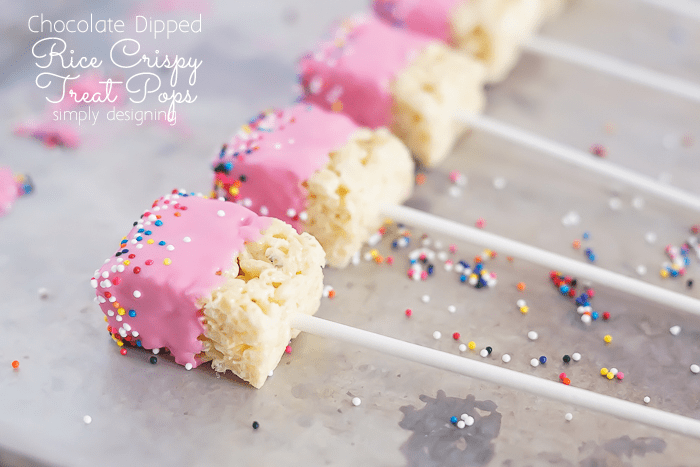 Then I carefully placed a lollipop stick into every rice crispy treat to turn them into pops. Then I carefully melted my chocolate in the microwave. 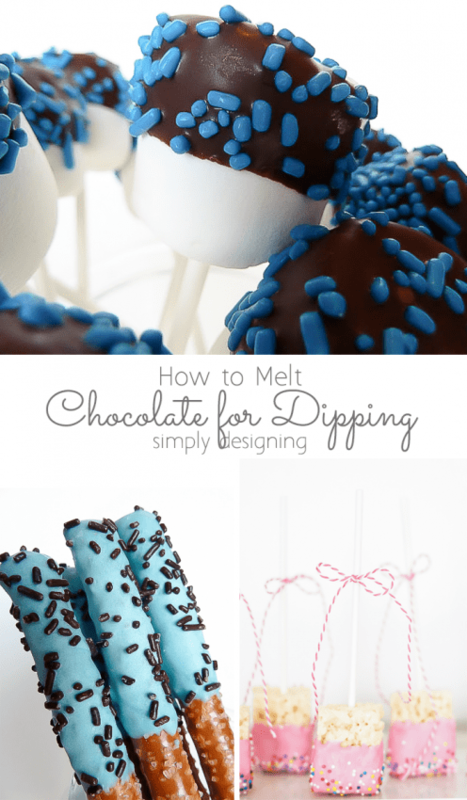 Check out my blog post about how to melt chocolate for dipping here to get all of my tips and tricks for melting chocolate perfectly! Next, I dipped my rice crispy treat pops into the chocolate until they were coated just over half of the way up. I tapped the excess chocolate off, added a few sprinkles and let them sit on wax paper until the chocolate completely set. If you need your chocolate to set faster, you can place your treats in the refrigerator. Otherwise, they should only take about 30-60 minutes to set depending on humidity and temperature. 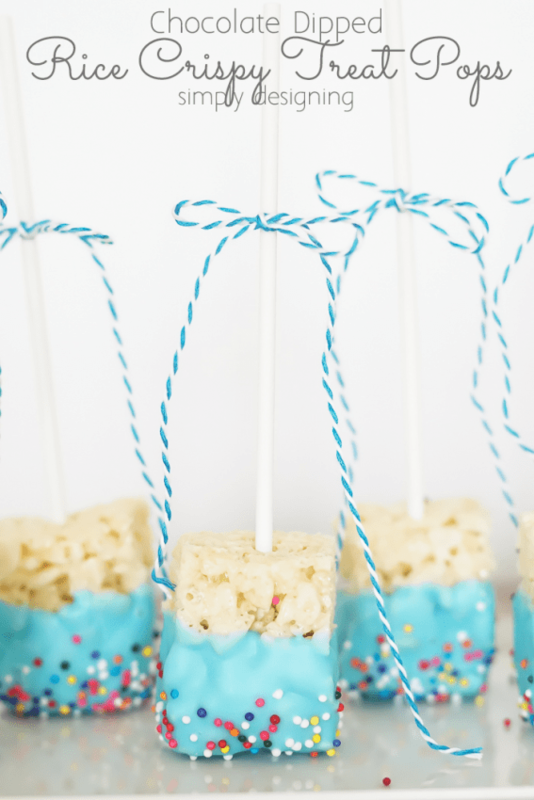 I added a little baker’s twine bow to each lollipop stick and then they were ready to enjoy! I just think these are so adorable! 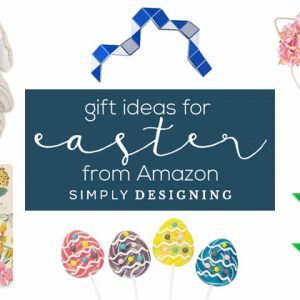 If you are hosting a baby shower, or are expecting (congrats if you are! 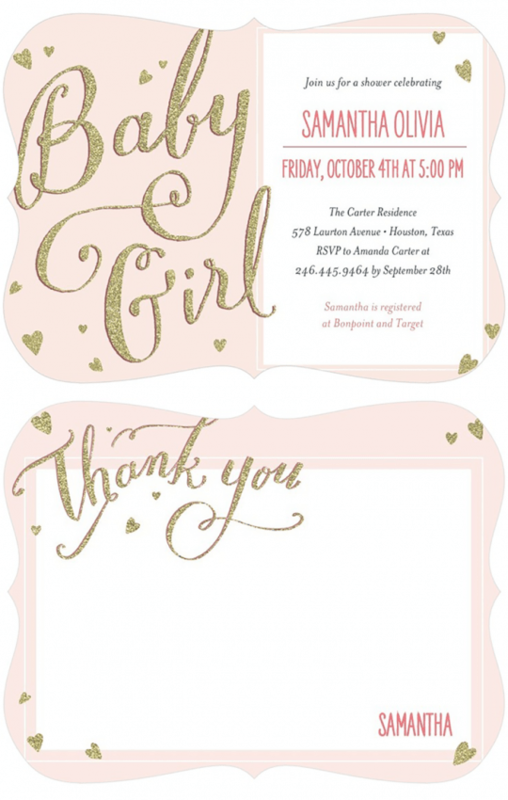 ), baby shower invitations can set the entire tone of the event! 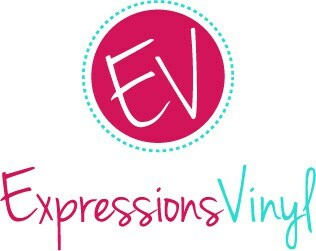 And I absolutely love the selection that Tiny Prints has! I particularly like this Little Shine Chenille baby shower invitation here! And I love that it is available in matching thank you cards here. Of course, there are a really cute boy or gender neutral invites too! And wouldn’t that be such a great gift idea too!? While you are ordering baby shower invitations, snag a package or two of coordinating thank you cards to give to the mother to be! This would be such a wonderful gift and one that is sure to be used! And I love the fun shapes, designs and even foiled baby cards that Tiny Prints has! 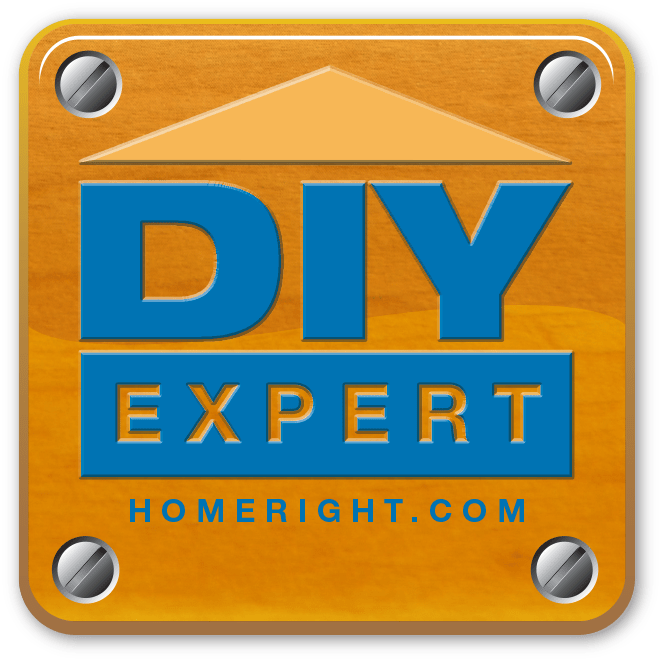 You are sure to find something you love on their site! What’s your favorite treat to eat at a baby shower? What a cute idea!! 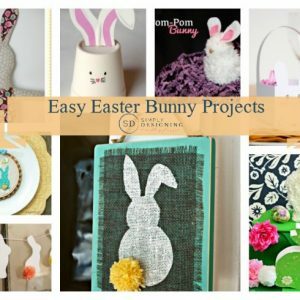 I have a few baby showers coming up soon, pinning to remember to make! This are adorable! Perfect for any party! I would love for you to share this at our weekly link party,The Mommy Club, that starts every Tuesday night. 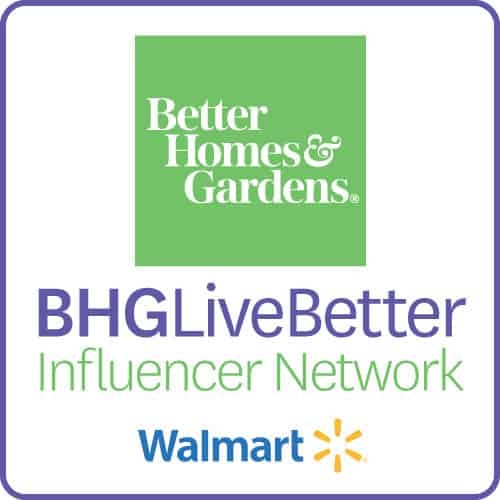 I’m dropping by from the Live Laugh Rowe link party. 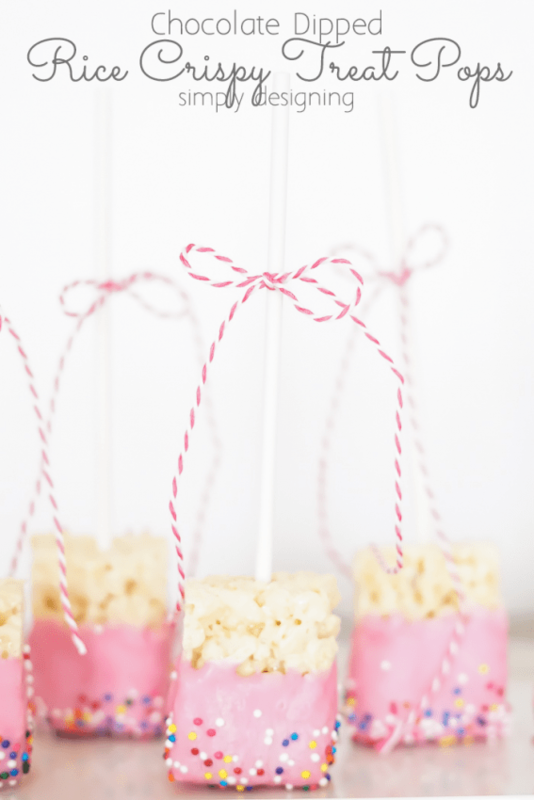 These rice crispy treats are so darling — even elegant! Makes me want to make them right now. I’ve got a link party that I’m trying to grow. I invite you to drop by and share this with my readers who would absolutely love this idea. Feel free to add one or two other links, too. It’s at Grandma Ideas Sharing Time http://grandmaideas.com. They look amazing. Featured in Turn It Up Tuesday. Thanks for sharing your beautiful treats. Love this idea! I am going to make for my next party and give as favors. I will be placing each pop in a cello bag and tied but but worried they will get stale. How far in advance can I make them? Is 3 days too far out?? how far in advance did you make them. im making these for a party and wrapping them in bags. can i make them a week ahead? I personally find that rice crispy treats get stale after a few days, so I wouldn’t make them anymore than a couple of days in advance, and then wrap them with plastic wrap until the event. What cute party food! Pinned it!